"I just wanted to thank you for all your in depth pro audio reviews!" 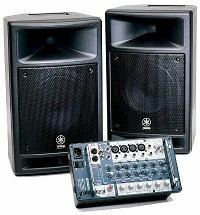 Below is our growing list of Yamaha speaker review articles. If you've heard or own a pair of Yamaha speakers, have some cool information, tips and tricks or pictures about them to share, send them here. You'll be taking part in creating the Web's ultimate Yamaha audio resource that will ALWAYS REMAIN FREE for everyone! 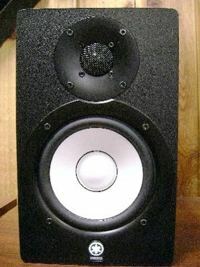 Back in the late 1970's, the Yamaha NS10M speakers/monitors series were arguably the most widely used near-field monitors used in the recording environment at the time. Thirty years later, the Yamaha HS series speakers/monitors continue the tradition with the HS50M.